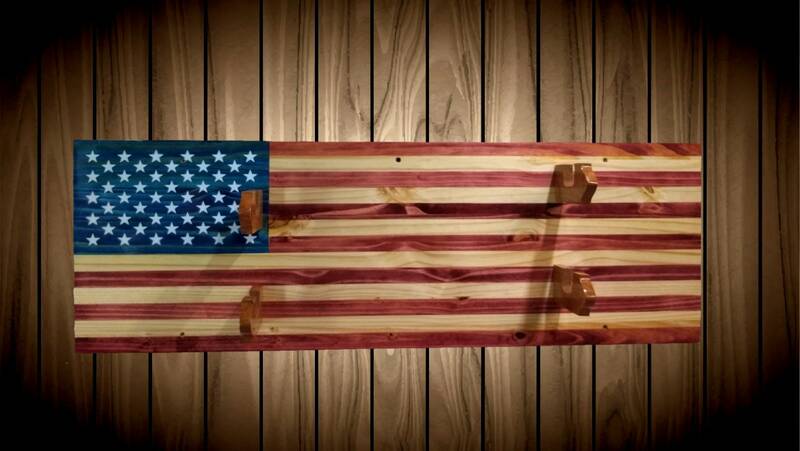 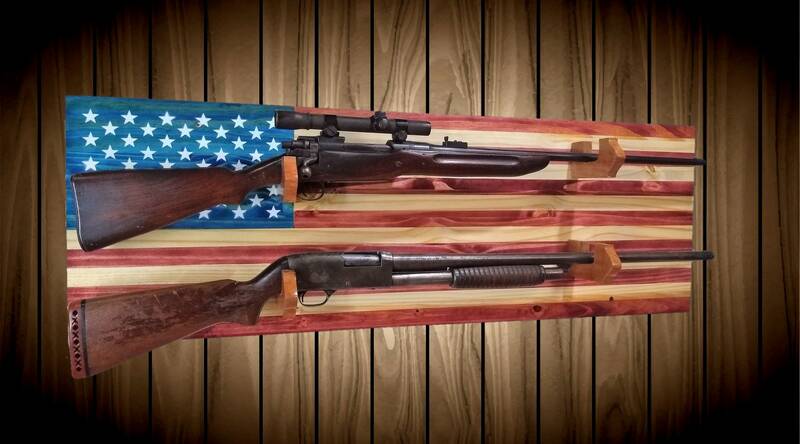 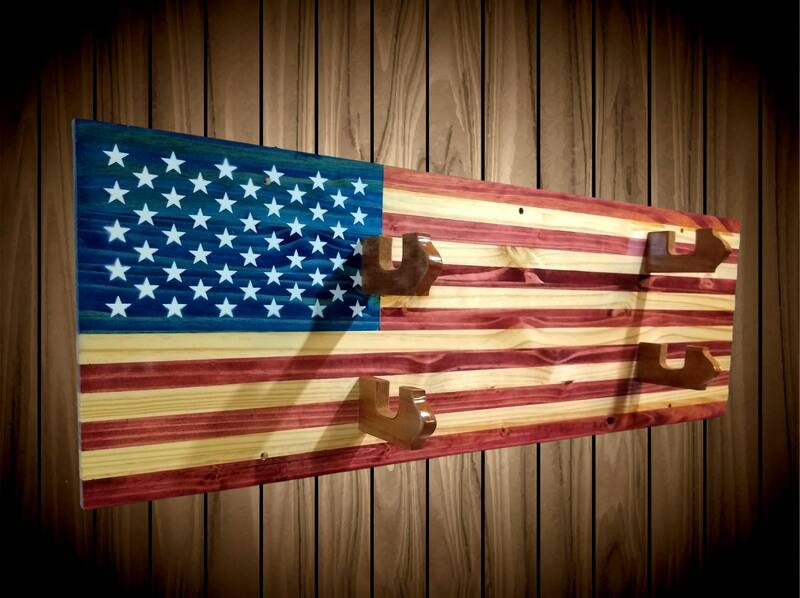 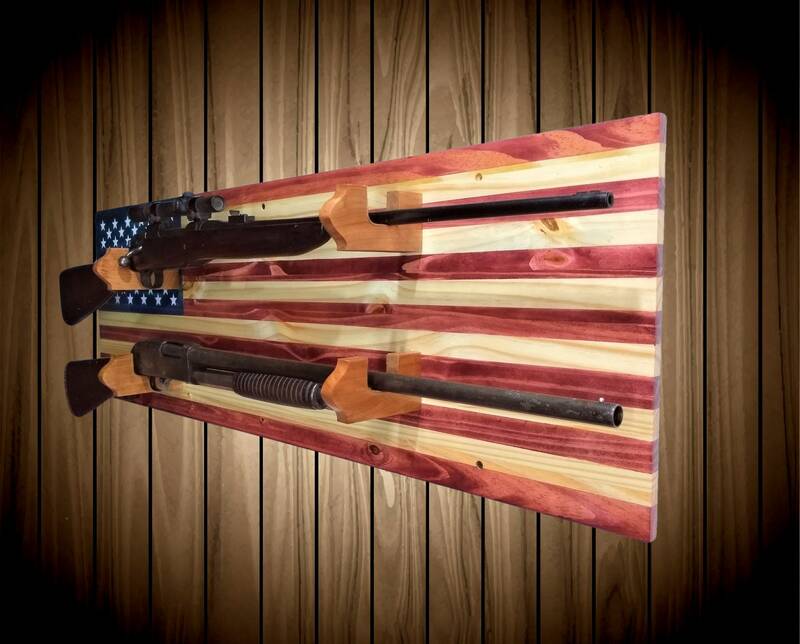 Beautiful Knotty Pine, American Flag Gun Rack. 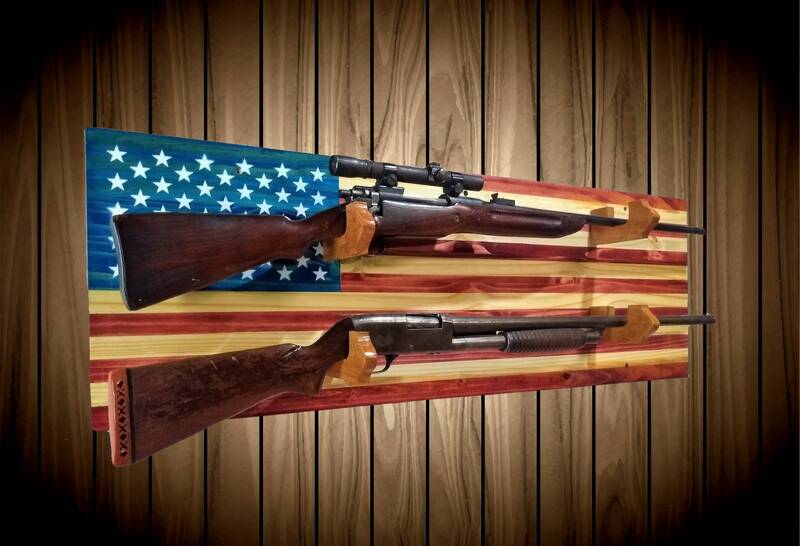 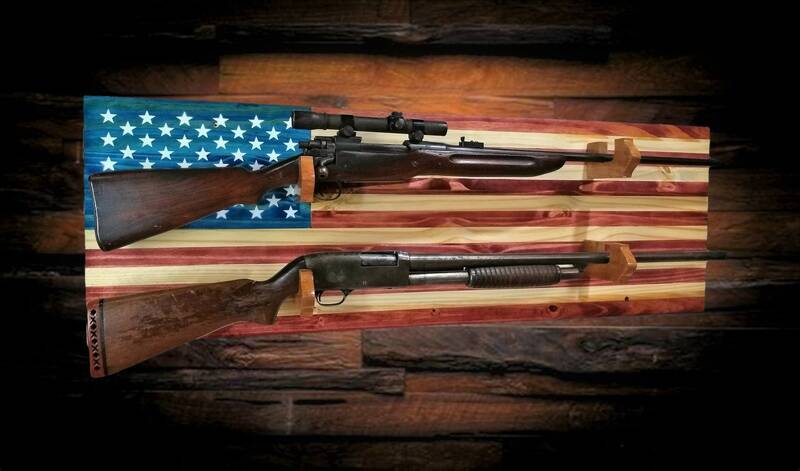 Proudly Display Your Second Amendment. 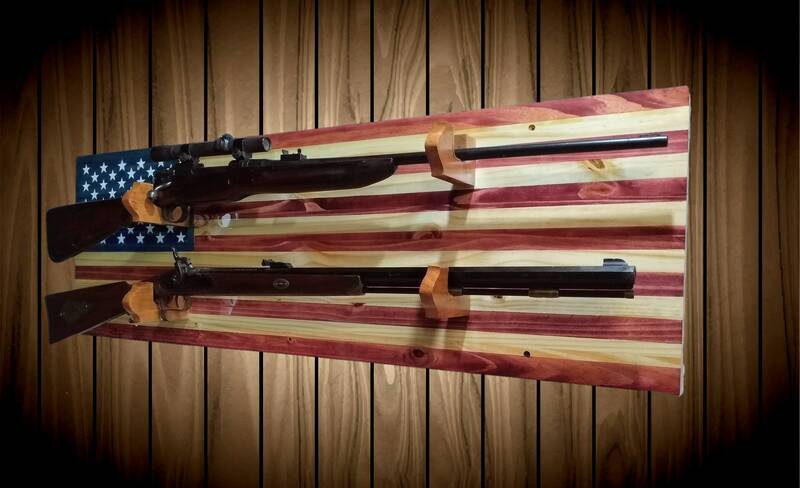 Unique Solid Cherry Bullet Gun Holders w/ Felt. 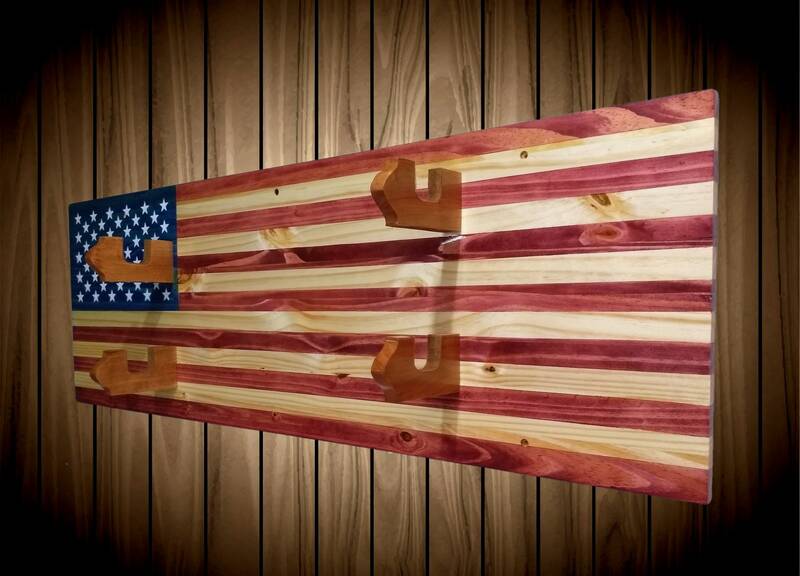 Stained Wood w/ Gloss Finish, Three Coats of Polyurethane and Hand Rubbed Wax. 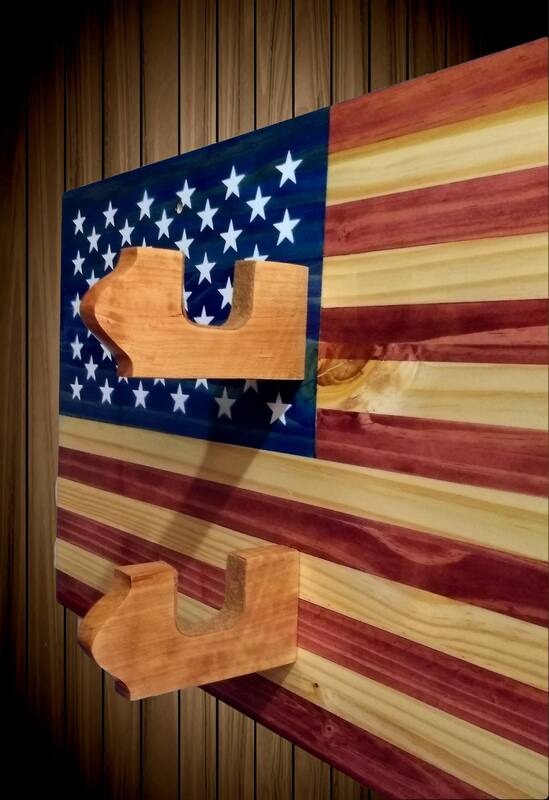 Thickness of Cherry Holders: 3/4"